Your advertisement goes here. This section also supports shortcodes! You can enable or disable this section on admin panel. Capt. Gurpreet, prior to his experience in project logistics ashore, ushered at sea as Captain on Large seagoing cargo vessels for over a decade. In addition to being a Master Mariner, he holds a Degree in Nautical technology and is also a qualified Lead auditor. Traversing long career at sea, he has travelled every nook and corner of the world and that made him adept at observing, knowing, working and dealing in a multi-cultural set up. He interacted and worked in collaboration with different nationalities of the world .This enormous exposure helps him to understand the diverse and specific issues involved in the logistics fields across the globe. He encourages people to initiate and innovate continually, manage risks effectively, conduct team work with delegation to meet and exceed clients' expectations and deliver excellent value-adding services globally. He strongly advocates that the reputation of the company. Trust and confidence of those with whom it deals is among its most vital resources, and the protection of these is of fundamental importance. Therefore, he demands and maintains high ethical standards in carrying out its business activities. 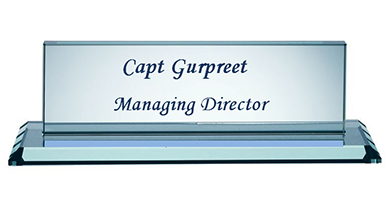 Capt Gurpreet is personally involved in selecting companies, to ensure we have the right Organization in the right places having sound operational knowledge and financial strength to grow. 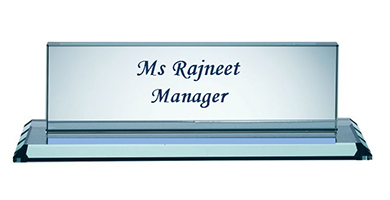 Jasleen having a Masters’ degree of Technology in Computer sciences is presently involved in teaching and editing books for computer sciences at various levels. Having organized various networking events, exhibition and conferences for their university and having provided the IT platform to ensure proper management and successful completions of the events. 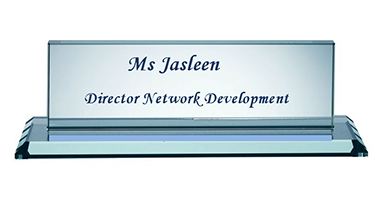 Jasleen has explored various parts of the globe and enjoyed the different cultures and geographies and wants to bring her practical and hands-on experience of IT and Network management to OFN to connect the logistics world. OFN is incorporated to provide a network of owners and decision makers for logistics needs , we have chosen to limit organizations per country. This helps us balance flexibility with accountability which we are able to insure through a requisite thorough vetting process for membership.